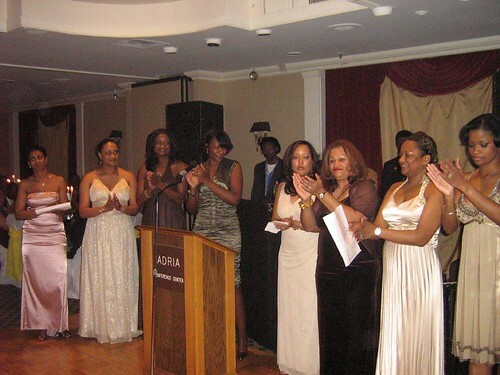 As you know, I attended a ball to benefit Haiti's Fokal foundation two weekends ago. The event was organized by the ladies of GEMS, LLC and I thought I'd show them to you. See other pictures of the evening here. From Left to right: Aster Tekabe (from Ethiopia), Jackie Prosper-St. Fort, Michelle Lamarre, Rose-Vony Duroseau, Laurette Backer, Nadja Giglio-Joseph, Kherlyn Veillard-Marcel, Cassandre Lamarre-Williams.